Unibet's Head of Poker David Pomroy said that the reason why they removed the bigger-priced games is that, "The addition of NL800 and PL800 had contributed to short-handed games and slightly faster loss rates of recreational players at our higher stakes. 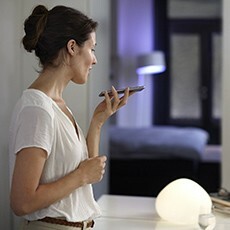 Although the situation was by no means critical, we decided it was best to act on that trend sooner rather than later." It is understandable that recreational players may potentially lose at a much faster rate and to an extent it can become a concern to any poker site; however, it seems odd that this has impacted Unibet so much that they opted to deny their players the opportunity to move up to the upper stakes beyond €2/€4. Of course, it's not a sad ending for high stakes lovers, as Pomroy said that Unibet "will consider restoring NL800 and PL800 in the future once we feel a sufficient support structure is in place." and that, "This decision doesn't change our long-term ambitions to continue growing the site but right now our focus is on ensuring that we continue to offer a non-predatory environment and the most enjoyable cash games online." 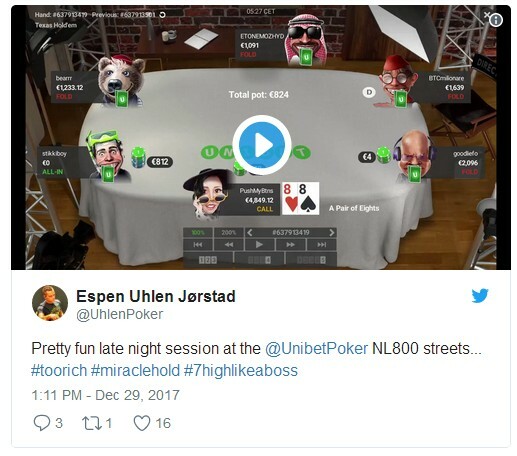 There is one player who's most likely not going to be too happy about this, and that would be twitch streamer and Unibet Poker Ambassador Espen Uhlen Jørstad, who has been regularly tweeting his continuous success at the NL€800 during the final week of December 2017. 11 comments for "Unibet starts 2018 with Removal of their High Stakes Tables"
I think it's great that the house thinks about the losses of us recreationalists, but it's also our fault, we do not have the control or the discipline to manage our bankroll, but I like to think that way. When you do not have players for such stakes it is normal to quit this option NL € 800 and PLO € 800 as "high stakes". Unibet does not have many players at such high stakes. Probably isildur1 had no partners there. Anyway it is better. Their software is unpleasant. 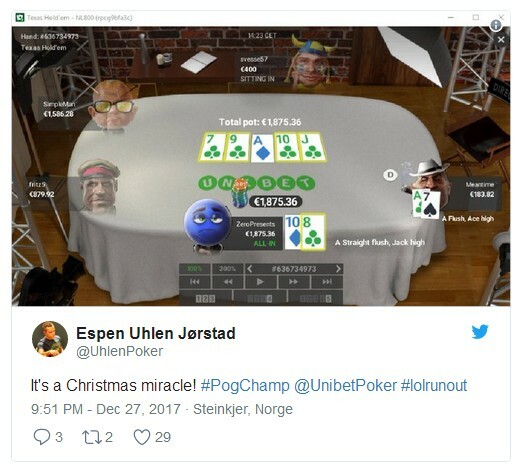 I think that they finally find out that they cant be like other poker sites and that they cant get more players,especially high stakes players!software is not so good,even they changed him arround year ago!and lobby and tables are not so good!for me,this is normal news for unibet poker! there is also another factor. It is called rake The more the money circulate the tables, the more the sites make. So it is also in their best interest, for the players to lose in a slower rate. Their reason to end with the higher tables may be true, but i guess it will be something that will always happen in the tables with highest buy-ins. They may not loose much players with this difference because those kind of players would already find that kind of games in other places and would have their preferences in other to chose between one or other room. A €800 max buy-in (€4/€8 blinds) cash game isn't normally categorized as high stakes but I guess that was the highest level at unibet. Maybe there were a handful of bum hunters, but I doubt there were many casual players who could afford to play high stakes ring games on a frequent basis. You would think that these games would have proved very popular and i am surprised that they are removing them. These sort of stakes are not considered 'high stakes' in the poker world but they are 'super super high stakes' in my world!! Wonder how many players unibet usually has. didnt play for few months at unibet poker,but before they had lot of problems with software,especially when they gived new one!lot uf bugs and ne things and they want to be serious site!you must first test something and then to give players something like this! well I guess its not a big thing really- to open or close tables. probably there wasn't enough action on them and management decided that this is bad for poker room image to have empty tables for everyone to see. better just have tables on demand at any stakes players wish for. pochui is totally right about this,that its not good image to have empty tables on whatever stake that it is!if you dont have high stake tables,then everybody would ask themself why to play there,when nobody with big wallet dont want to!